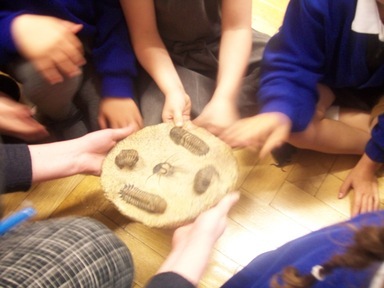 Year 1 were very fortunate to be visited by some dinosaur experts. We were able to touch real dinosaur fossils. Then we entered THE DOME! All around us was darkness until the dinosaurs appeared. It was even better than the cinema as we were completely surrounded by the dinosaur film. Dis you know many dinosaurs were feathered?